Tuesday saw the second well attended Public Meeting in ten months hosted by Richmond Council and the National Trust to discuss the electric fence on Petersham Meadows. 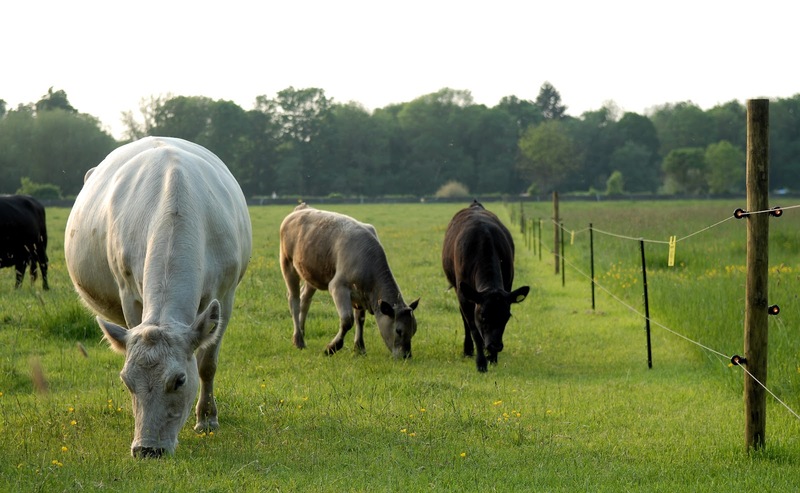 The Council, Petersham Trust and the public strongly opposed the corralling of the Petersham Herd behind an electric fence. 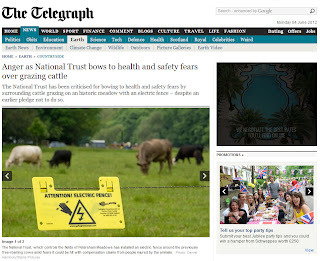 The National Trust maintained that it was necessary to protect the public from possible harm from the cows. 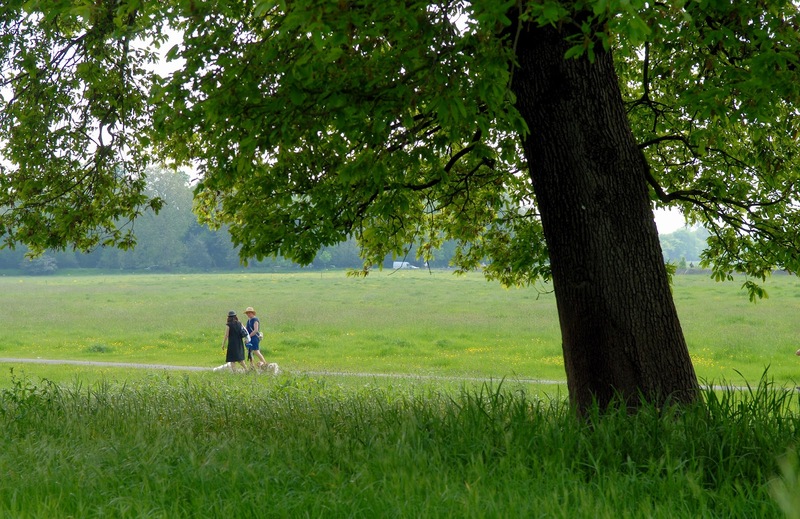 Hilary McGrady (Regional Director for the National Trust, London & South East Region) revealed that no risk assessment was conducted prior to the National Trust taking over Petersham Meadows. 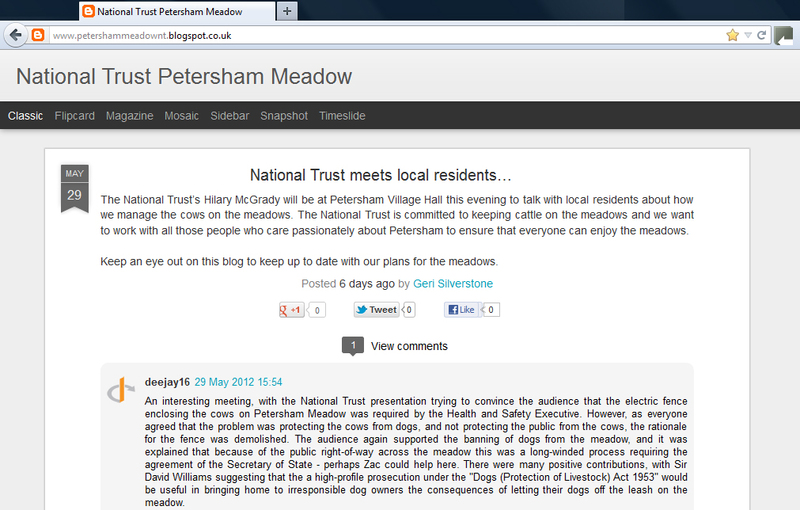 When a dog attacked the Petersham Herd last year the National Trust conducted its first risk assessment. 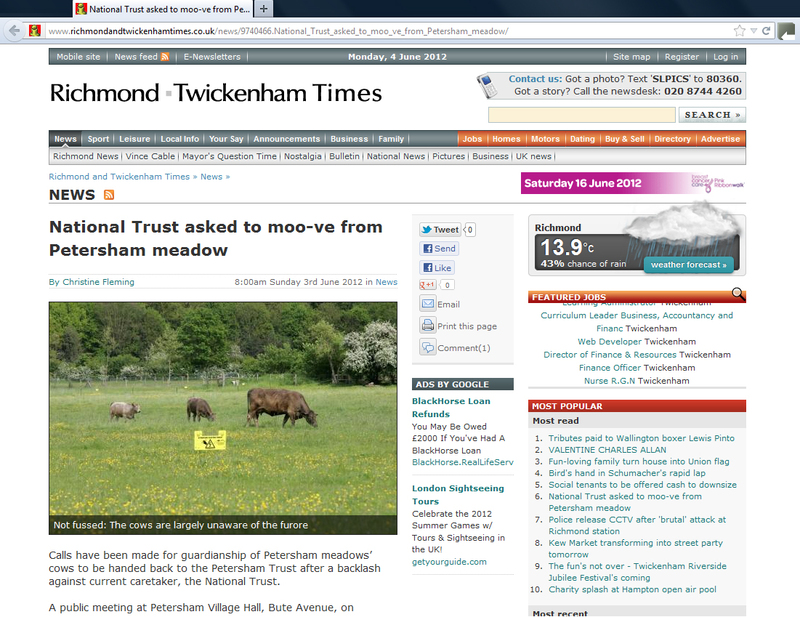 Although there was no history of the cows causing an injury to a member of the public on Petersham Meadows the National Trust deemed them dangerous and introduced weekend containment of the herd behind an electric fence. Just a week before the herd returned the National Trust posted signs informing the public that the herd would be permanently behind an electric fence during the 2012 season. 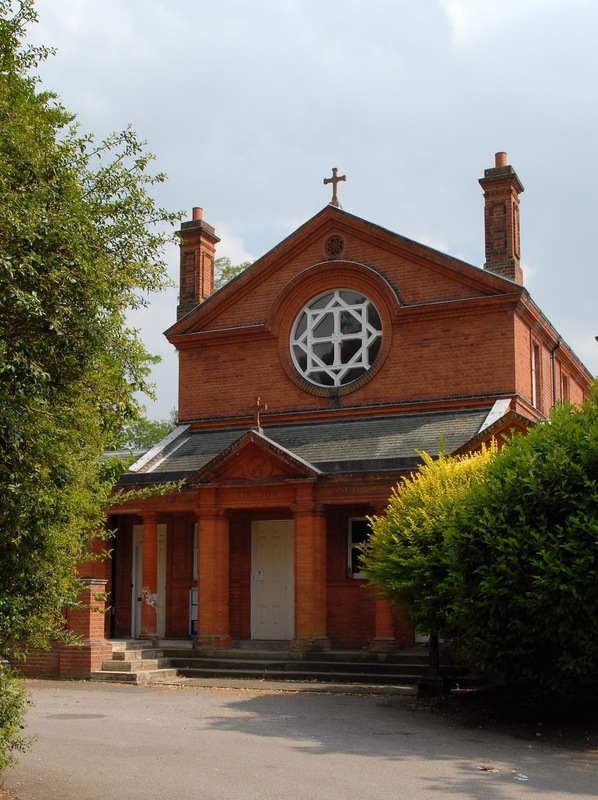 Further risk assessment by the National Trust had concluded that the public was at greater risk than had previously been thought. At the first Public Meeting local people expressed their concerns about dogs running free and called for a total ban on dogs on the Meadows. This is not yet in place and the floor was frustrated by the delay. In 2011 the National Trust denied that the electric fence was a response to the ‘Compensation Culture’ but in the best interest of the cows. 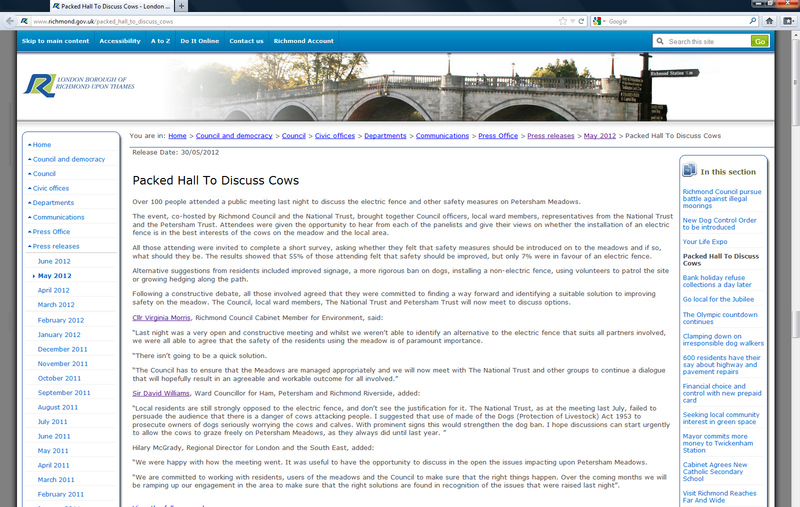 In 2012 fear of litigation is the overriding consideration of the National Trust in installing a permanent barrier between the cows and the public. A longstanding member of the National Trust called for courage to do the right thing and for the Trust not to be led by their legal department. To maintain this policy will result in public loss of confidence with the National Trust. Cllr. Brain Miller raised concerns on behalf of the farmer that there will be insufficient grazing to last the season. Others were dissatisfied with the signage, diminution of the view from Richmond Hill and public access under the Richmond, Petersham and Ham Open Space Act 1902. Towards the end of the meeting Cllr. 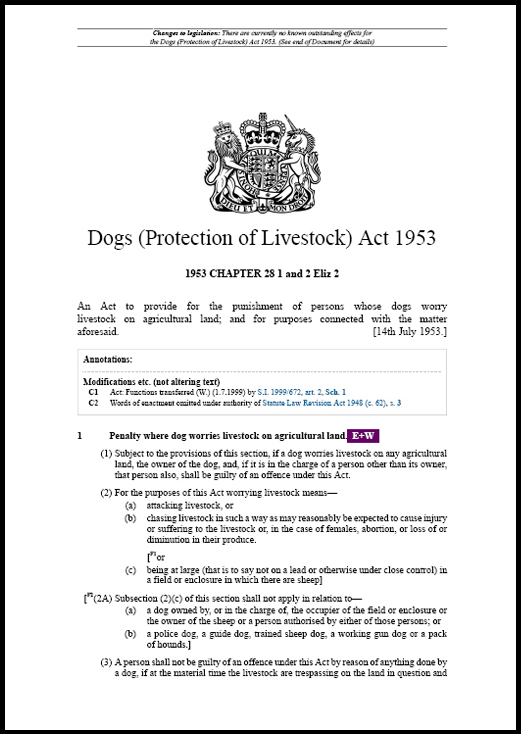 Sir David Williams called for the fence to be removed, signs to be improved, more people to oversee and strong enforcement under the Dogs (Protection of Livestock) Act 1953. 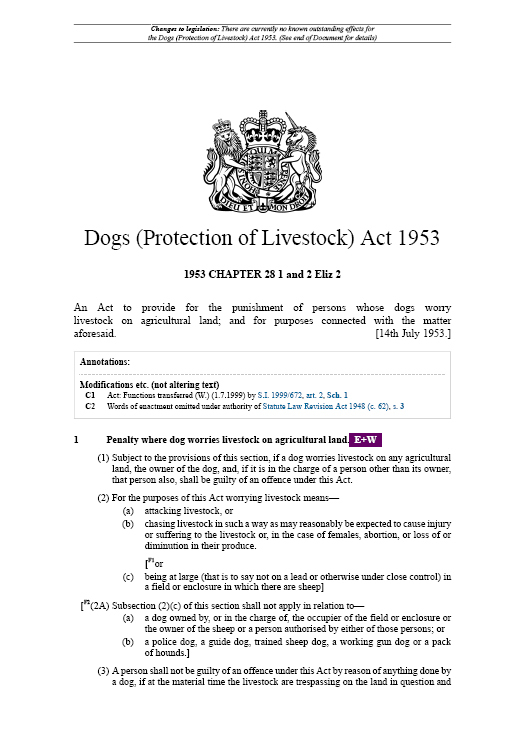 Dogs (Protection of Livestock) Act 1953. 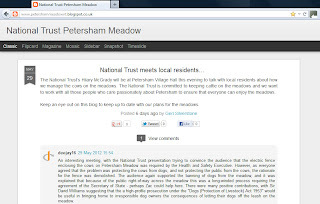 Acknowledging that communication had been poor since last year the National Trust announced their new blog for Petersham Meadows. 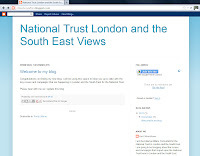 Geri Silverstone (External Affairs Consultant for the National Trust, London and the South East) will be keeping the public up to date. 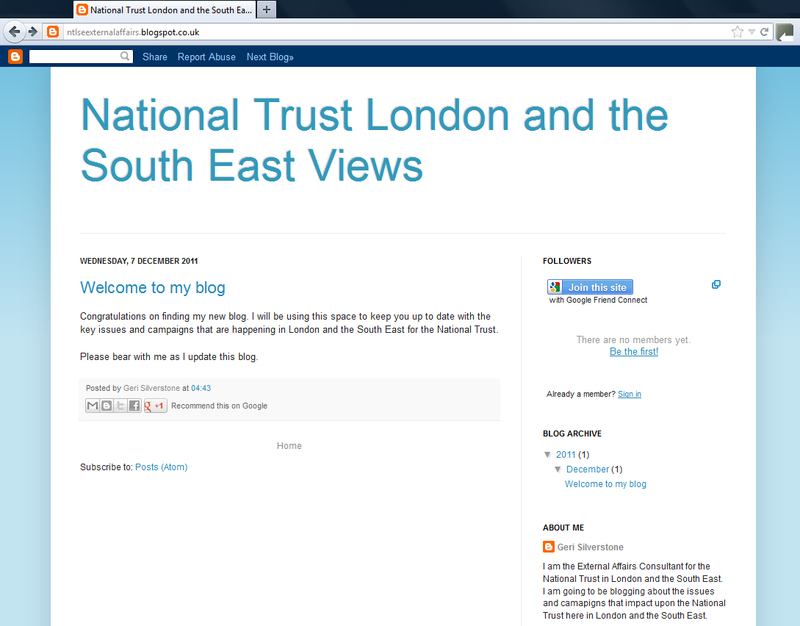 His other NT blog has been live for six months but without any content.